Bell Canada CEO, George Cope, has spoken in regards to news Verizon reportedly delayed its intent to acquire WIND Mobile and Mobilicity, pointing out the delay by the U.S. carrier only shows the “absurdity” of the Federal Governement’s wireless policies, in an interview with the Globe and Mail (Bell owns a 15 per cent stake in the newspaper). Cope said Verizon’s move “illustrates…the absurdity of loophole three, where a company just possibly waits for a while because there is nobody else to compete to buy a business.” He went on to add Bell would be eager to acquire either wireless entrant start ups, which have close to 900,000 subscribers between them. The news of Verizon’s reported delay has benefitted the Big Three, as stocks reacted to the move, as Rogers jumped 5 per cent, Telus went up by 4.8 per cent and BCE had gains of 1.7 per cent. 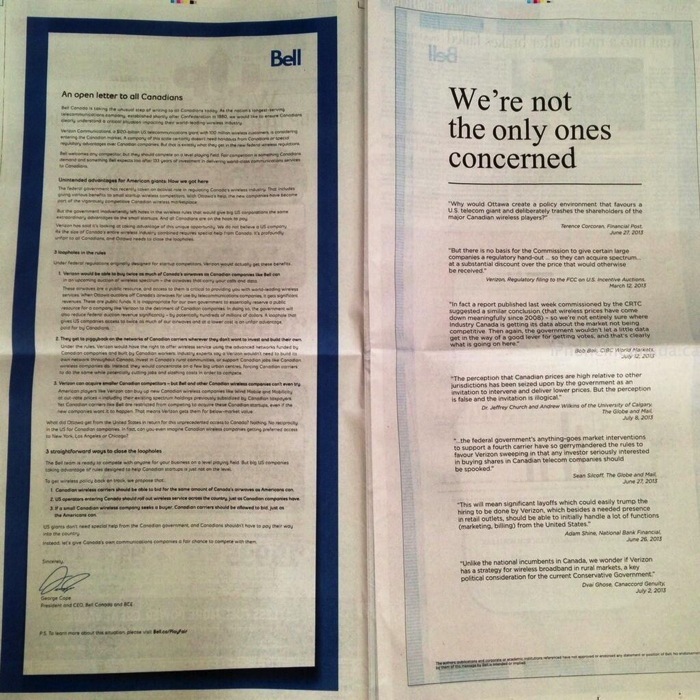 The Bell CEO previously published an open letter in various newspapers across Canada, to warn Canadians about Verizon; this prompted one particular Canadian to cleverly respond directly to Mr. Cope with his own ‘open letter’. 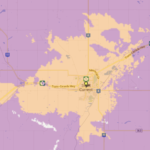 Bell, along with Rogers and TELUS, currently have ongoing PR campaigns aimed at pressuring Ottawa to reverse its wireless spectrum policies, despite Industry Minister James Moore and Prime Minister Stephen Harper reaffirming Ottawa is staying the course on its plans to create a fourth national wireless carrier.